Having fresh wrinkle-free clothes can be quite a treat especially when you constantly dress to impress. Now, there are plenty of tools that you can use to get the wrinkles off your clothes, one of which is the clothes steamer. Everyone should have a clothes steamer for their convenience at home. It is easier to keep wrinkles and folds at bay with this handy tool around. There are plenty of clothes steamer options out in the market and if you are wondering which one you should get, you came to the right place. We checked some of the best products the market has to offer, and we’ll tell you which ones are the best choices for you. There are several benefits you can enjoy once you start using a clothes steamer. One benefit that has been highly sought after by a lot of people is how the machine never gets to touch the fabric you are trying to iron out. What’s great about this is that you reduce the risk of getting burnt clothes, an occurrence that can easily happen when a typical flat iron is used. Another great thing about clothes steamers is how you can use it to handle all sorts of garments including sweaters, suits, t-shirts, delicate clothing, pleats, and jackets. Clothes steamers are also quite ideal for smoothing ruffles and sleeves on all kinds of fabric such as silk, jersey, polyester, and even satin. It is much easier to get rid of wrinkles on hard-to-reach areas such as collars with the help of this tool. Steamer is also capable of smoothing clothes a whole lot faster than irons. They also require much less space since they dispense with the need for an ironing board. Additionally, these steamers are also lighter and easier to work with. You can even bring it with you when traveling. There are portable ones you can buy for traveling purposes. If you own a clothing business and you need to iron yards and yards of fabric, worry not because the steam cleaner will cut down your work for you. It can help keep your products pressed and crisp without using a flat iron. Lastly, a steamer can also help clean your clothes since it places your clothes under hot steam that can help remove odor-causing bacteria. It also gets rid of unwanted odor that might be on the fabric. The first thing you need to do is to apply an ample amount of water to the tank of your clothes steamer. As you do this, you need to make sure that every part of your steamer is completely secure to avoid any leaks. One great benefit that you can enjoy once you get a clothes steamer is its capability to smoothen clothes without using ironing boards. To prepare your clothes for steaming, all you have to do is hang it on a hanger. You can hang it on a doorknob, a chair, or even a shower rod. Once everything is set in place, all you need to do is run the steamer down your clothes and watch the wrinkles go away. Release the steam from your steamer as you do this to use the heat to smooth out your clothes. The last thing you should do once you have steamed your clothes is let it dry. After steaming, you will feel that your clothes are all damp from the moist steam. Just leave it hanging for a couple more minutes until it’s completely dry before storing or wearing. Try to look for a clothes steamer that comes with a considerably longer reach. A clothes steamer with just enough reach will allow you to move around easily so you can get to those difficult spots. Make sure that you get something with a long power cord just in case your power sockets are pretty far from your steaming space. The next thing you should keep in mind is to go for a clothes steamer that comes with a water reservoir that you can fill with just enough water for steaming at least 2 pieces of clothes. Try to look for something that can provide you with around 10 minutes of continuous steam. Another feature regarding the water tank that you might find very useful is removability. Having a removable water tank can make it a whole lot easier to clean. This is a handy feature that you can rely on to significantly reduce energy consumption. An automatic shut-off function will allow you to save on energy since it prevents its internal mechanisms from burning out easily. Clothes steamers can come with an assortment of accessories that can make the whole steaming and smoothing process significantly easier. You may want to choose a clothes steamer that comes with a handy rack, hanger, or clip for complete access to all angles of your clothes. This clothes steamer comes with a handy 15-foot cord that will provide you with just enough reach to steam your clothes from several angles. It also comes with an energy-conserving automatic shut-off feature that will turn off the machine once it’s been idle for 15 minutes. Needless to say, this Black + Decker clothes steamer can provide you with a continuous splatter of steam to effectively rid your clothes of any wrinkles. If you decide to get this product, you will also get a couple of useful attachments that you can use for steaming certain types of fabric including ones for upholstery, lint removal, and delicate garments. This fabric steamer comes with a nozzle design, which makes it a lot easier to use compared to the designs of competing brands. With this fabric steamer, you will be able to smoothen fabrics for linens, upholstery, bedding, clothing, and drapery. What’s great about this machine is that it can heat up really fast in mere minutes. You can easily fill its water tank that can provide you with enough steam for 8 to 10 minutes. It even comes with an automatic shut-off function for reduced energy consumption. 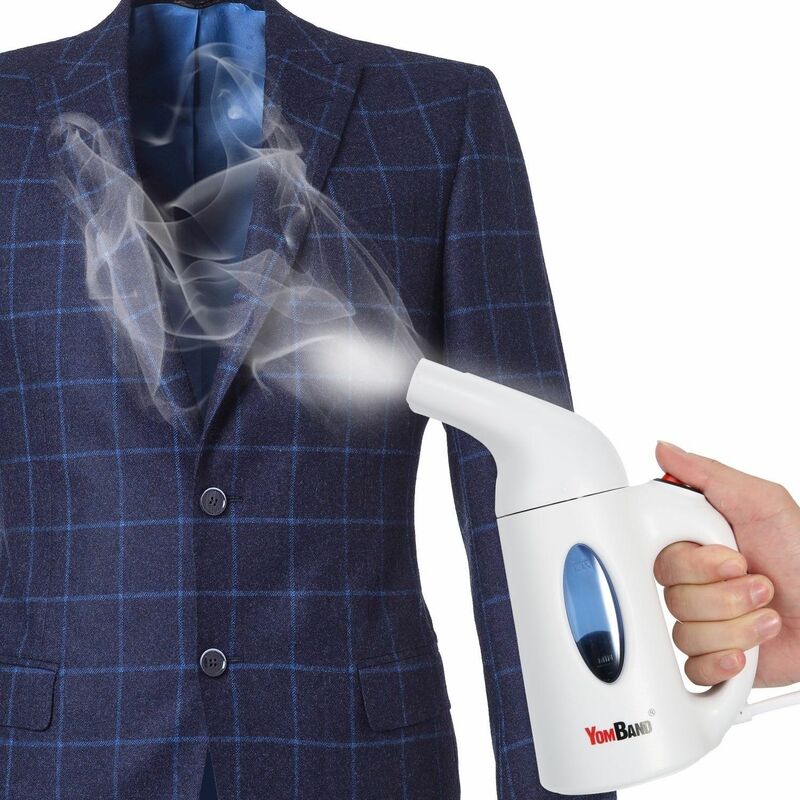 This handheld steamer is a great product that can provide you with sufficient reach to completely steam the wrinkles away on all parts of your clothes. You can use this little machine to smoothen table linens, bedding, draperies, upholstery, and more. What’s great about this product aside from it’s completely portable and compact design is that it can heat up really quickly, a handy feature that you can always rely on when you are pressed for time. It also comes with a large capacity water tank that can provide you with a sufficient stream of steam. This powerful garment steamer can perfectly smoothen your dresses, pants, drapes, curtains, upholstery and bedding in just mere minutes. It comes with a set of features that you can effectively use for humidification, sterilization, cleaning, and ironing. Aside from being a completely effective iron, this small but efficient machine can easily be stored away in any suitcase or travel bag because of its highly compact and transportable design. It’s extremely lightweight and is made of highly durable materials that can make it last for years. 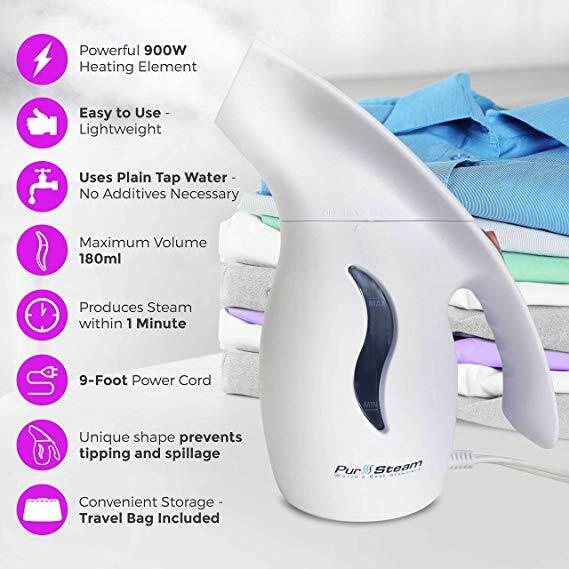 This handheld fabric steamer comes with a fine 200-millimeter tank that is not only leak-free but is capable of producing a continuous stream of steam for about 8 minutes. It even comes with the highly versatile steamer that you can use to smoothen all sorts of fabric and even delicate fibers. This machine is also very easy and efficient to use since it comes with an easy one button function that will let the steam heat up in approximately 120 seconds. If you decide to get this product, you will also get a nice protective glove for added safety, a travel pouch for easy transportation, and a brush that will allow for a smoother clothes-steaming experience. It’s hard to go wrong with these products. But for every person, there is a corresponding product that might work better for their specific needs. 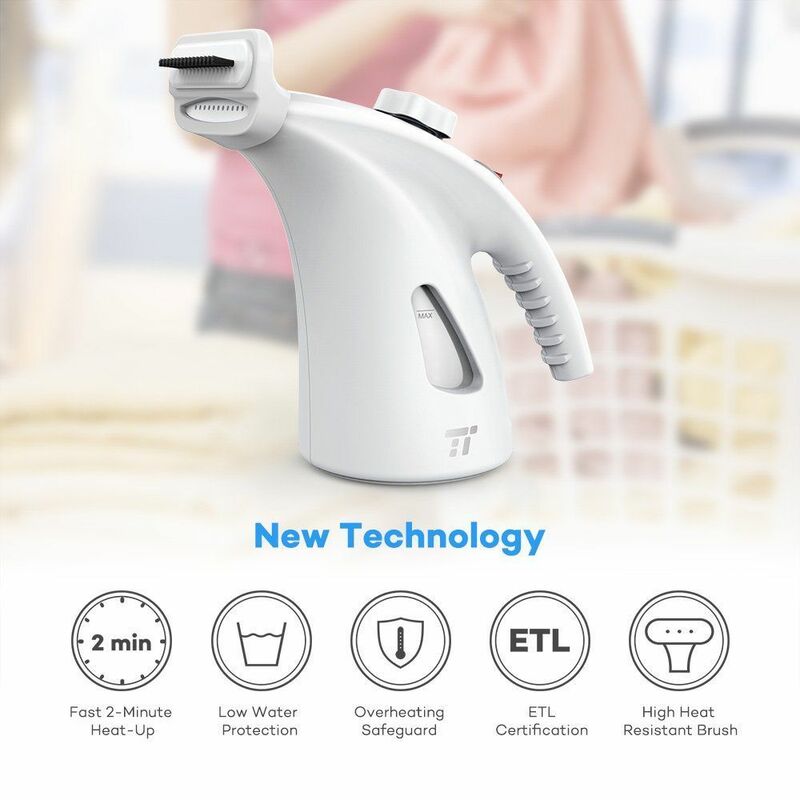 If you frequently handle delicate fabrics such as gauze or chiffon, make sure you get the TaoTronics Handheld Fabric Steamer. It is easy to use on flimsy fabrics that might require extra care and attention. 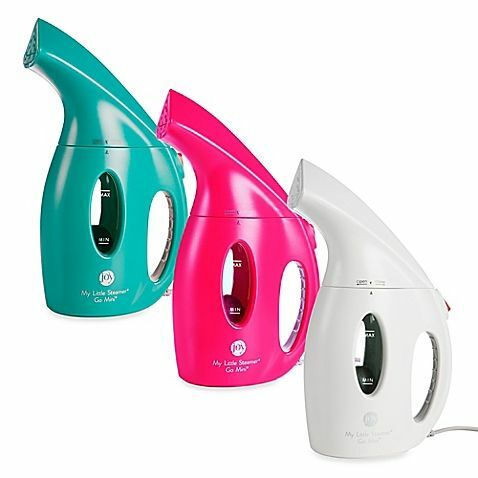 If you often deal with tougher wrinkles on clothes, bedding and upholstery, get the PurSteam Elite Powerful 7-1 Steamer. You can get more from its performance. It’s also inexpensive and durable, thanks to its BPA-free design. 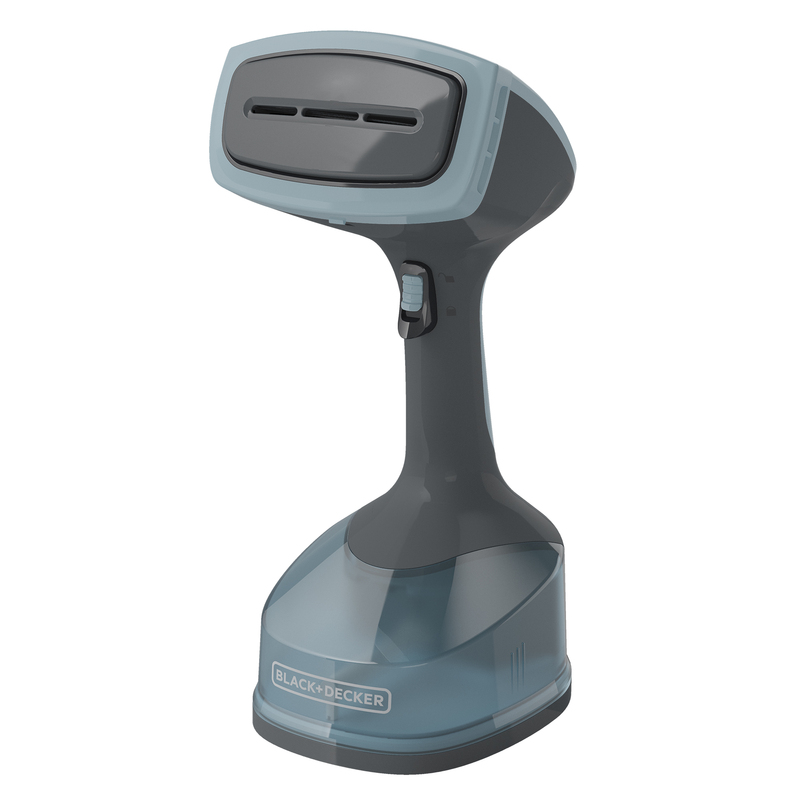 Do you plan on doing a lot of traveling and need a clothes steamer to serve you well? 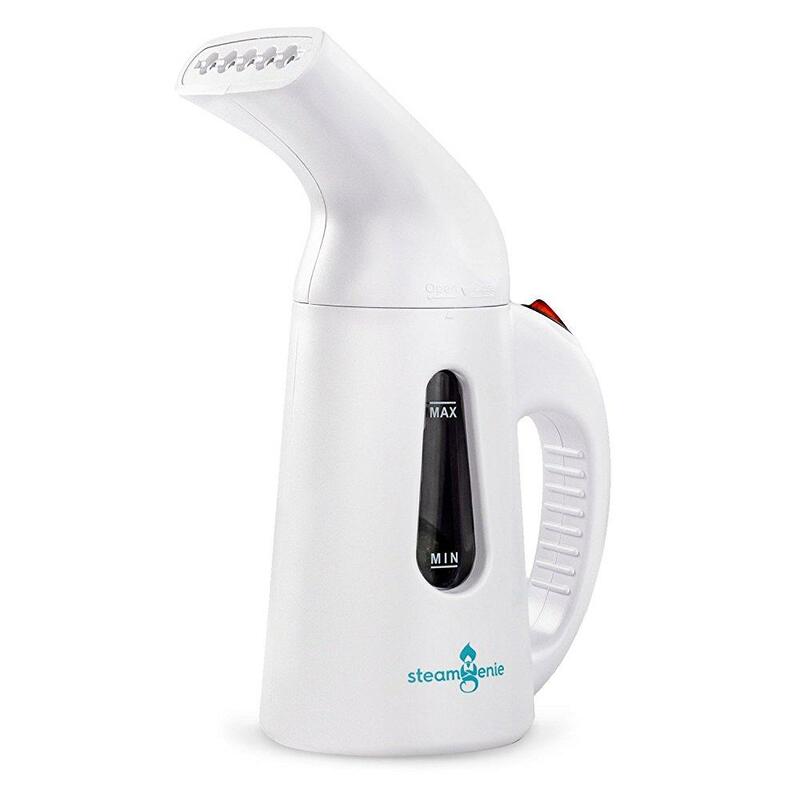 The SteamGenie Handheld Steamer can be a good candidate. Its cordless functions make this so easy to use and store in your travel suitcase. It can also withstand a bit of rough handling, so you shouldn’t have issues bringing it along for your travels. 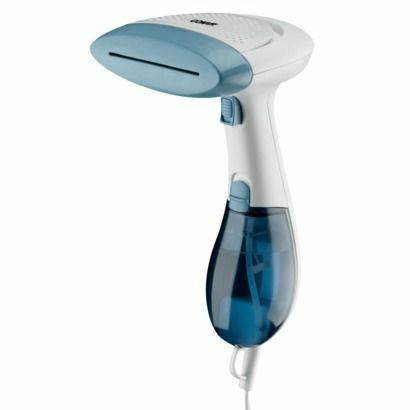 If you like something with a more ergonomic design, consider getting the Yomband Handheld Garment Fabric Steamer. It heats up faster and has a good nozzle design that makes it easier to reach those difficult areas. For home or business use, you’d be hard-pressed to find one as good as the Black+Decker HGS200 Advanced Handheld Fabric Steamer. It can produce steam for a long time and it has durable functions that will really make this last for a long time, even with heavier usage. It is more expensive than others, but its durability makes this a winner. 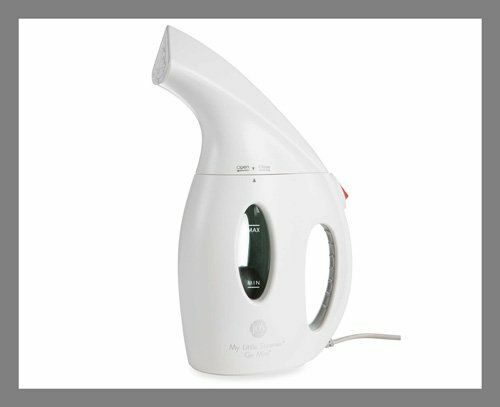 The best clothes steamer is the one that smoothens your clothes in seconds and you will make a good decision by choosing BLACK+DECKER HGS200 Advanced Handheld Fabric Steamer. Learn more about these products by clicking the product links. Check out what others have to say about them. Need more household tools to make sure your work at home goes faster? Check out our homepage. We have product reviews and recommendations for homeowners. Read buying guides as well so you know which products to get.